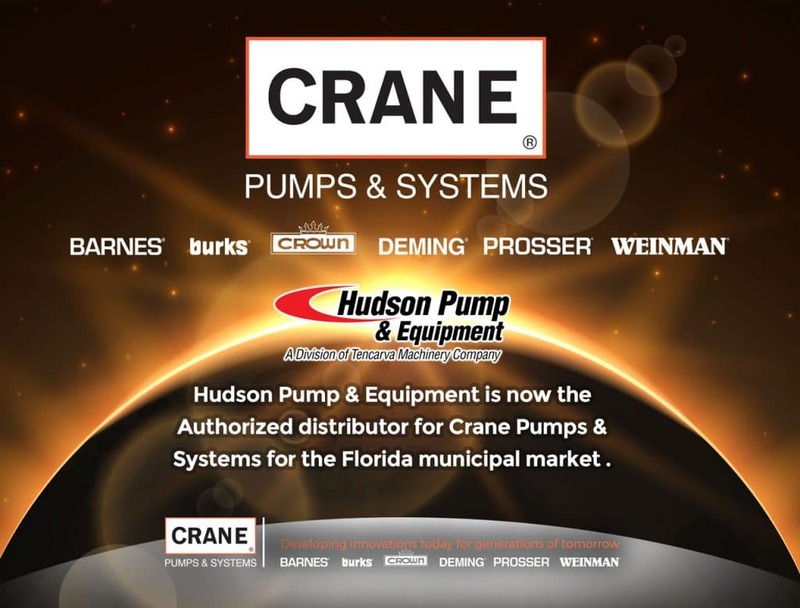 Hudson Pump & Equipment is now the authorized distributor for Crane Pumps & Systems for the Florida municipal market. Crane Pumps & Systems is a world-class manufacturer of quality pumps and accessories offering a wide range of solutions and services for the municipal market. The trusted brands; Barnes, Burks, Crown, Deming, Prosser and Weinman provide innovative designs and durable construction.